Welcome to my first ever FUN FASHION FRIDAY link up party! So excited and hope it all goes well! Everyone is invited! 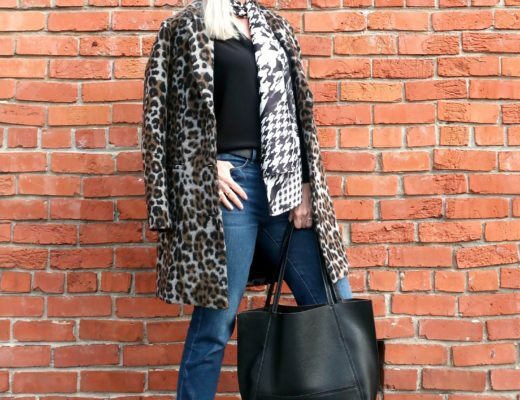 Fashion should be fun for every age, size, and budget! And of course I really want to see my over 40 fashionistas representing! Here’s my first Fun Fashion Friday outfit. What’s more fun than a sweater with a cute dog on it?! I added a plaid shirt, with a denim skirt and boots. Enough about my outfit, let’s see what you dolls came up with. The link up guidelines are all the regular ones .. please link back and it would be nice if you followed along with Bloglovin, Facebook, & Twitter so you never miss a party! Okay, now let’s link up! Geez, look how excited I am! Also linking up with: ClaireJustineOXOX! & Passion for Fashion with Rachel the Hat! & JoLynneshane! & Sunday Funday! Visible Monday! Mix it Mondays! Confident Twosdays! Reasons to Dress! Tremendous Tuesday! Found your blog through a link up. 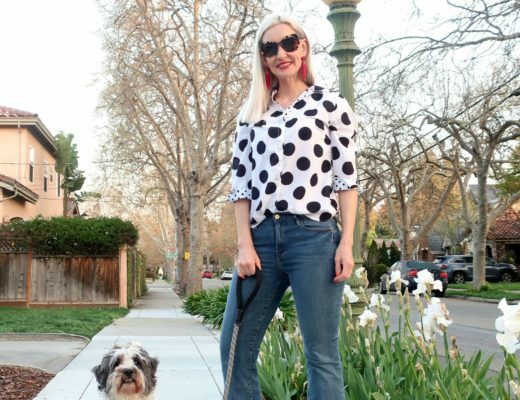 Great outfits – the dog sweater is so fun and I love the neutrals, too. Awesome! Thanks so much for joining in the fun! Dawn Lucy, I've always loved your title, becuase it pretty much says it all. Fashion really should be about having some fun. You truly know how to go about showing us how this is done. And your right, it doesn't get much more fun than wearing a cute dog on the front of your sweater, that will brighten anyones day. Looking forward to your Fun Fashion Friday's. Thanks so much, Trina! I am a firm believer in fashion fun for sure! We all have enough serious stuff in our lives and to me style should be a way to relax and express ourselves! Aww thanks, Glenda! I really do have a blast with this blog and can't imagine doing it otherwise. You're always an inspiration, Lady! A warm welcome to your new fun linkup – more power & I love your fun & stylish sweater!!! Your sweater is adorable! I love anything with a cute dog on it! Thanks for starting this link-up! Your sweater is adorable! 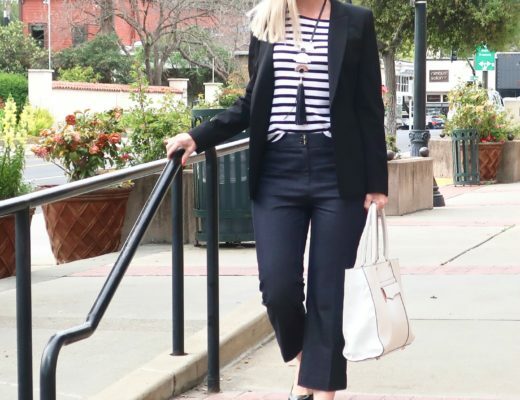 You styled this chic look perfectly! Congrats getting your first linkup underway! Woohoo! Thanks so much for joining in, Jill! You know I LOVE your blog! I'm linking up tomorrow for sure! Welcome to the wonderful world of linkups, eh? Now scare up an outfit with a bit o' blue in it and link with me next Tuesday for TARDIS Tuesday? Fun outfit Dawn! I love the pop of plaid under the sweater. I'd totally wear that! Have an awesome weekend. Your doggie sweater is adorable. Love the red bag; it's perfect with this outfit. Your sweater is so adorable, and I love the last picture of you – you look so friggin cute!! Thank you for hosting this new link up! I love this fun sweater paired with the plaid. Congrats on your new link-up Dawn. Pleasure being here. This outfit is adorable – I love that sweater. You remind me to wear my denim pencil skirt. Have a great weekend, pretty lady! Thank you for hosting this new friday link up! Such a fun and cute outfit especially the sweater. So excited to join the link up party! Thanks for hosting. You do make fashion fun. I love your sweater. Aww thanks Amy dear! I sure do have fun with fashion and I'm happy that it shows. That's so much for sharing your fab outfit with us today and hope you'll be back next Friday too! Such a great outfit! Love the sweater! Thanks for hosting a new, fun linkup!! Congrats on starting your own link party Dawn Lucy!! & thanks for inviting me:) You look great & so well put together as usual! Have a great weekend. ADORE this look – especially the sweater! You look great and this outfit is perfect for showing how fashion should be fun. Love it. Thanks for hosting this wonderful new link-up! I couldn't help but stop by for your first link up party! You are looking rather lovely in that fun sweater today! Have a wonderful weekend! Don't we look cute with our lobster and our doggy?! Thanks so much for being a part of the fun! 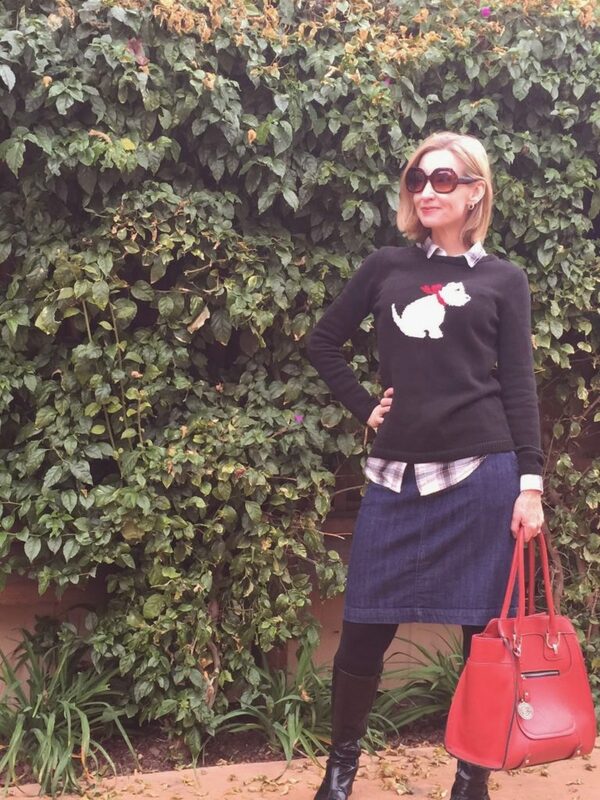 Sweater with skirt, a timeless casual look; with your dog in, more fun for sure. Thanks so much for sharing your fab with us, Jing! Hope to see you again next week! Love this outfit, your jumper is great 🙂 whoo I have been ill this week I will have to join you next week. Thanks for linking up to the weekend blog hop.. Thanks so much for stopping by and I hope to see you next week! Love the outfit. So cute with the puppy sweater, I need a shih tzu sweater or top! Love to the pups and best of luck with the link up! 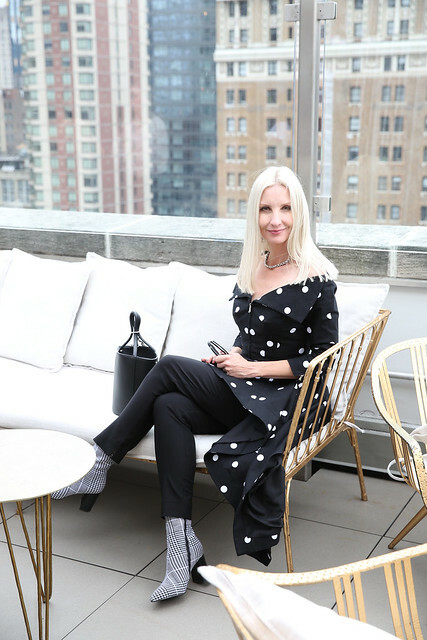 Thank you for hosting FUN FASHION FRIDAY–great name! I'm happy to join you and our fashionable friends! The last photo of you is my favourite! Hee … I'm glad you like that silly photo. I almost didn't use it, but I sure do look excited right? lol …. Thanks so much for joining in the fun, Carmen! Thanks so much for stopping by, Kimi. I know you had a tough day, Girlfriend. Extra big hugs. That's a great way of styling a denim skirt for winter! I have a very similar skirt and boots and will have to copy your look 🙂 Thank you for hosting the link up party, Dawn Lucy! super cuuute sweater! what an easy, comfortable yet fashionable look! Cute cute cute sweater dear! Just found your blog and decided to "link up"! 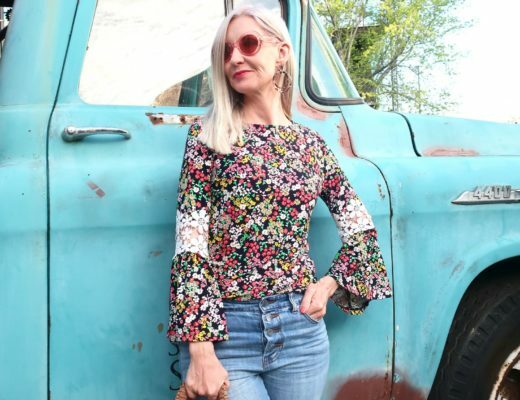 I love finding other fashion minded ladies over 40! YAY so happy that you joined us, Monika! Now I expect you to be here every week sharing your amazing eye for style with us!